Buyapowa Ltd is pleased to announce that it has acquired RewardStream, a leading provider of referral marketing solutions for telecommunications, financial services and e-commerce. Together the two companies have created the first truly global enterprise referral marketing platform with programs in over 27 countries. 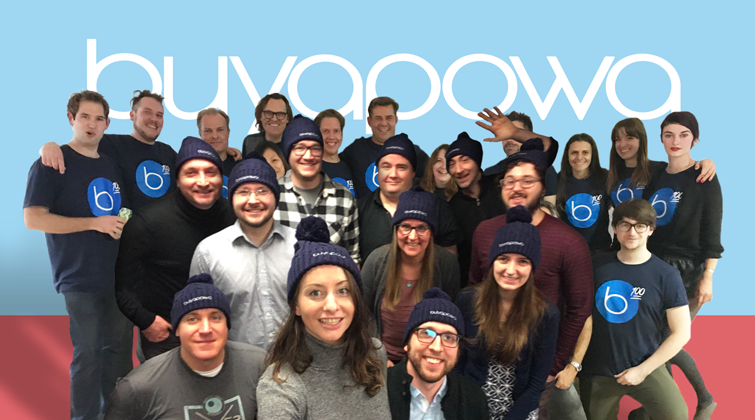 Formed in London in 2011, Buyapowa provides refer-a-friend solutions for brands and retailers including Expedia, Gap, L’Occitane, Vodafone, Desigual, and Zalando, Europe’s largest online fashion retailer. By bringing on board the experience and passion of RewardStream’s North American team, the organization is now perfectly positioned to make referral marketing – already the most effective form of new customer acquisition – a must-have tool for enterprise-scale brands and retailers across the globe. Here are some of our favourite current campaigns, powered by Buyapowa’s unique social selling platform. Have a browse, they might just inspire you. The betting giant’s Enhanced Price store is a 21st Century reinvention of the classic member-get-member customer acquisition campaign. By offering better odds on key bets to punters – providing they get their friends in on the action, Paddy Power have picked up loads of new customers while entertaining and rewarding their core fans. Everyone’s a winner! Bookmaker turns to social-selling platform Buyapowa to drive word-of-mouth around summer sporting events in UK and Ireland. Referral marketing campaign to boost customer acquisition and organic reach across social networks. London, 03/7/14 – The bookmaker Paddy Power today launches a new word-of-mouth social media campaign, designed to capture the excitement of online audiences across the summer sporting events including the FIFA World Cup.